The standard of Indian umpiring has been the subject of a raging debate for years now. Every year, during the IPL, the conversation becomes even more high pitched as poor decisions become amplified in the face of intense scrutiny by players and broadcasters. 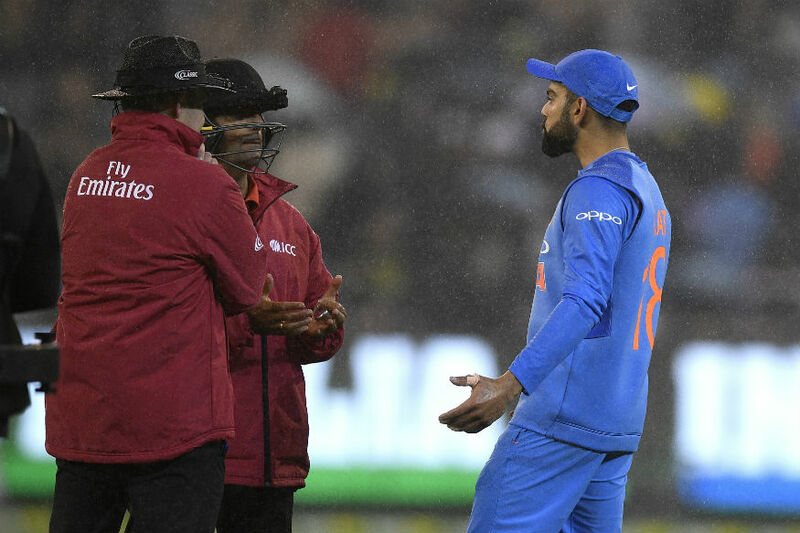 Last week, umpire S Ravi was in the eye of a storm, when he missed a no ball off the last delivery from Lasith Malinga in Mumbai Indians’ clash against Royal Challengers Bangalore that led to irate reactions from RCB skipper Virat Kohli and his MI counterpart Rohit Sharma. Not too long ago, umpire Saiyed Khalid failed to spot an outside edge when Cheteshwar Pujara nicked Vinay Kumar in the Ranji Trophy semifinal. The general consensus is that the standard of the Indian umpires is poor. Some argue that the standard is even poorer in the domestic circuit but goes unnoticed due to the absence of television cameras. This criticism is not always without reason. After all, there's only one Indian umpire in the ICC Elite panel. Incidentally, that is Ravi himself, who became the first Indian in the panel since S Venkataraghavan ending a 11-year wait in 2015. But the bigger question is - are the umpires as bad as they're made out to be? Or is it just a case of increasing scrutiny? 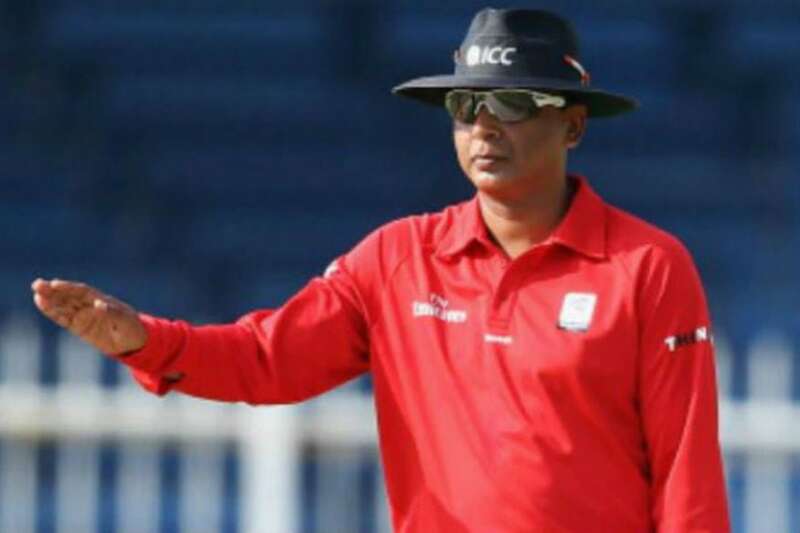 CricketNext spoke to a former veteran umpire - K Hariharan - and a current domestic umpire - Amit Sharma (name changed to maintain anonymity as requested) to understand the reasons for the error, and challenges they face. Firstly, the latest issue. Why is it so difficult to spot no-balls, which seem like the most basic of responsibilities for an umpire? The reasons are multifold. "There are generally three types of bowlers," begins Sharma. "One guy who is always tight on the line, so we'll always be focusing on the line. Second type of guys who are always in, so we generally don't bother to check much. Third type of guys who are wayward - the problem happens with these guys. "Wherever games are being recorded, our basic idea is to focus on the main decisions. If there is a dismissal, we can always go back to check the no ball. That's the provision in the playing conditions being followed. "For some bowlers, the back leg blocks the front leg. When you (umpire) are standing 12-14 feet away from the stumps, you can't see the front leg because his back leg is in the way. For example - Rishi Dhawan or Tushar Deshpande. You need to adjust your line accordingly and that's difficult. The view that people get (side angle) is different from the umpire's position. "It's practically impossible to check replays for every ball," explains Sharma. "Even with perfect technology, if it takes 15 to 20 seconds per delivery to check. We have four minutes per over in Tests/four-day games, and in T20s it is 4 minutes 20 seconds. If we check every ball for 15 seconds, the duration increases by 1.5 minutes per over. 20 overs, 1.5 minutes per over, you're increasing 30 minutes per innings. A T20 game is already taking four hours these days, it will go to five hours." Hariharan says "producers should be directed to show quick replays", but till that happens, situations like the Malinga no-ball will always occur. Now, on to issues that are specific to Indian umpires. There has been plenty of confusion since the Committee of Administrators have taken over. The BCCI removed the umpire's committee last year. 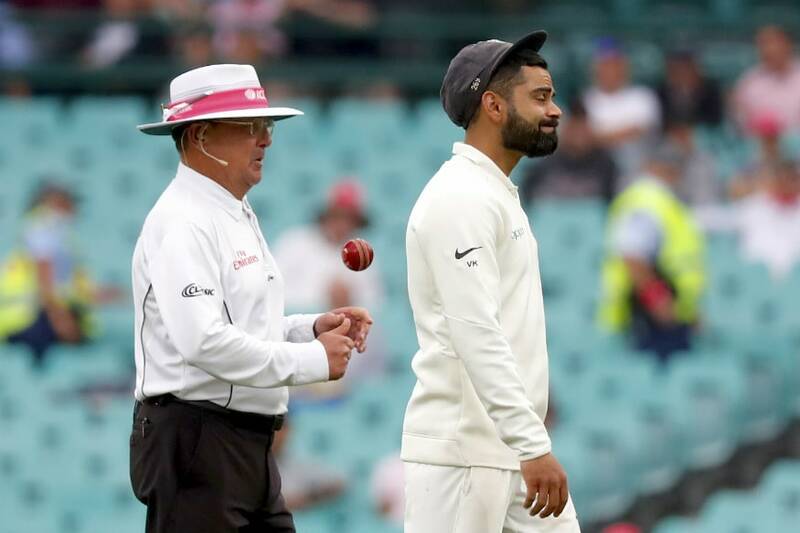 The umpire's rating system is also under the scanner; the BCCI introduced a system where match referees and umpires rate each other after each game, leading to questions on fairness. "If you mark someone down, you have to give concrete reasons. Because he's marking me low, you shouldn't mark him low. That, unfortunately, happened in the lower groups," says Sharma. "It generally happens with two sets of people - ones who don't understand the system/are new. Second, those who are frustrated. There are a few frustrated umpires, they feel we're right and the referee is wrong. "The marking is too harsh as well. Every match, an umpire starts with 100 marks (60 for decision making, 40 for other things like communication, body language, team work etc.) So, from this 60, the first error costs me five marks. The second error costs me 10 more marks, so I come down to 45. If I have a third error in a game, automatically it comes to 30. Suppose I'm doing a Ranji game and I err in the first ball, imagine the external pressure on me for the next four days." Sharma says the evaluation isn't always right due to lack of quality cameras, and could lead to umpires being exposed when they go to higher levels. "There are two types of games in Indian domestic cricket - umpiring in static camera and umpiring in live games (televised). Indian domestic cricket has 2000 matches, but on an average only around 40 matches are televised or on hotstar," he says. "If I'm doing a game on a static camera, I can get 100 marks and feel I'm right. But I might still not be right because there are few decisions that static cameras can't make out. It can't make out caught behind/edges because quality of the cameras is not great. Generally, the match referees go with the umpire for such decisions. Inside edges, bat-pads. "If I'm put in a live game, I might end with errors because there are 27 to 30 cameras. There is a lot of difference. So, in essence we (umpires) are getting false hope. Now the review committee will say I'm getting 100, 100 and 100 in all the games. So, they promote me, I go into a live game with an opinion that I'm a super umpire. It's a false hope, and I get exposed in front of cameras." Despite these issues, Sharma doesn't believe that the standards have dropped in recent times. "People who are watching only a few matches are speaking. But people who have played earlier or senior referees will tell you, earlier numbers 8, 9 and 10 batsmen were always out on first appeal. Now cameras have come in and errors have come down. The standards have improved a lot over the last few years," he says. "I'll quote one game, where Saiyed Khaled had a bad game (Vinay Kumar - Pujara incident). But you also look at the other two live games he did. Those two games were excellent for him. People talk looking at one game, it doesn't make him a bad umpire. In a game of four days, an umpire on an average sees 60-70 appeals roughly on a normal track. If it's a turner, it will go to 130-140 appeals. In that, we criticise umpires with one or two errors...it's easy to put people down." 'Put people down' is precisely what Virat Kohli and Rohit Sharma did after their game according to both Hariharan and Sharma, who believe the senior players' reactions set a wrong example. "Such a reaction is uncalled for. Like players, umpires too are doing their job and they too can get it wrong sometimes. My question is whether the players would have made such a hue and cry had this incident happened in the 16th and 17th over," wonders Hariharan. “Frankly speaking, domestic umpires don't face Kohli or Rohit directly. Virat was livid because he saw it on the screen immediately... if the same thing was asked after some time, he might have not been so angry," says Sharma. "But the thing is, Virat gets away with a lot of things. Earlier we used to say 'see how Sachin Tendulkar or Rahul Dravid accept decisions'. Now we can't say that about anyone. The boys feel that it's the style and they copy that. I don't know how it will pan out in the next four-five years. Had yesterday's match been an international game, Virat would have been charged. "But here, he doesn't care. As a domestic umpire, I don't want that attitude to come into the domestic arena. Because it will be tough to handle situations if it starts creeping in. They have every right to express their issues, but not in this way. They can write to the match referee and take it up for the BCCI to handle situations. Every umpire is marked for every match, this is no different. If you drop a catch, you don't drop the fielder the very next match. It's the same. The umpire missed it, okay fair enough. It happens. "I'm not defending Ravi. But I was wondering one thing - how is this shown on the big screen? There are 30000 people on the ground. If three-four people start something mischievous, who is going to control the situation? You show it on TV 10 times, 50 times, nobody bothers. But showing it on the big screen is wrong. I'm thinking from a security perspective. If somebody starts something in the crowd, who can control? "If the same thing happens in a place like Kolkata where the crowd is volatile... what will happen if there is a repeat of the 1996 World Cup situation? The director should be more sensitive. He should think."